Seniors in aged care facilities now have access to better round-the-clock care, thanks to a pioneering project being staged at Hunter Urban Medicare Local (HUML) in NSW. This project aims to improve the decision-making resources available to residential aged care and hostel staff. It relies on Odyssey CareAssess, a technology developed by Avia Health Informatics and migrated to the cloud in partnership with Melbourne-based cloud services company, Australian Cloud. The entire project is hosted on Ninefold®, the Australian public cloud compute and cloud storage company. HUML, through its GP Access After Hours program, is the first site in Australia to use Odyssey clinical decision support systems. This new initiative for residential aged care relies on the speed and low latency of Australian Cloud’s platform on Ninefold to offer after-hours virtual decision support services via tablet and mobile device technology. Partnering with Australian Cloud and running on Ninefold has resulted in far faster speeds than any trials through cloud computing providers in the local European Union region where Avia Health Informatics typically operates. “Using the latest tablet and cloud technologies, this initiative promises to deliver timely and relevant clinical decision support at the patient point of care in aged care facilities. The pilot has the potential for expansion to other Medicare Local areas nationally and to integrate with e-Health, telehealth and electronic messaging systems,” said Dr Mark Foster, CEO of Hunter Urban Medicare Local. The pilot from Australian Cloud’s platform on Ninefold is concurrently being used by Avia in Australia, Singapore, North America and the EU. It serves as an example of how future innovation is increasingly being driven by partnerships between software vendors, integrators and cloud providers. Odyssey CareAssess from Avia Health Informatics has been successfully piloted in the UK, where care homes using the product have experienced up to 50% reductions in referrals on to hospital emergency departments or local GPs, making significant financial savings. It empowers the care workers and nurses to fully and safely assess the clinical urgency of patients’ symptoms and provides support for care advice. When a referral is justified, a full summary can be sent from the care facility to the doctor, who fully justifies the referral. There is also evidence from the pilot study of patients being sent to hospital when the care staff would otherwise not have recognised potentially dangerous symptoms, demonstrating that it reduces clinical risk as well. The hosted desktop environment, supplied on mobile devices, allows care workers and nurses the freedom to work where the client/resident is and to move between aged care facilities within a group, accessing the record from wherever they are within the group environment. Hosting Odyssey CareAssess in the cloud means that organisations do not have to worry about servers, clinical and technical updates, technical knowhow and the concerns of data backup; many of the issues that can delay the decision to adopt new technologies. For further information, please visit GP Access After Hours, Avia Health Informatics, Australian Cloud, or ninefold.com. The GP Access After Hours (GPAAH) service operates in the Hunter Region of NSW Australia incorporating 5 face-to-face clinics and a centralised nurse led call centre. GPAAH is the largest and most comprehensive integrated after hours program in Australia serving a population of 500,000 people for the last 10 years. The financial support of the Medicare Local by the Australian Government Department of Health and Ageing is gratefully acknowledged, including funding for the new pilot project to improve after-hours services in the Hunter region. Avia is a developer and provider of clinical decision support systems. Its Odyssey range is used by clinicians and non-clinicians in various environments around the world to provide effective healthcare support, increasing the levels of patient care while delivering operational efficiencies. The delivery of Odyssey can be in a static or mobile environment from a PC, laptop, iPad, tablet or mobile device, with clinical content, training and services delivered via the web or hosted service. Avia’s, PathFinderRF offers on-line referral facilitation to manage the quality of referrals. Avia’s partners provide market reach into geographies outside of the UK, including Europe, Far East, the United States and Australia. The Odyssey range is built on a common medical content database, which has been developed over the past 16 years. Odyssey is continually updated, tailored with question and answer sets and has a user interface adapted for the particular user groups and the environment in which it is used. Environments include prisons, ships, call centres, GP out of hours, walk in centres, care homes, pharmacies and other clinical and non-clinical environments. Australian Cloud is a ‘Cloud Service Provider’ hosting applications for businesses in Australia and New Zealand (through sister company Kiwi Cloud). Its platform delivers over 250 mission critical business applications to customers and has done so for more than 10 years. Australian Cloud has unsurpassed cloud infrastructure & platform expertise for Australia and New Zealand business to help clients best leverage the cloud opportunity. 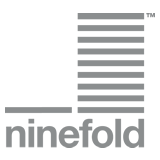 Ninefold is Australian public cloud computing and storage with locally stored data, free local support, self service flexibility and low latency. This allows you to provision VPS / virtual private servers and cloud storage quickly - scaling up and down when needed – and only paying for the resources you use.